The keyword mnemonic is undoubtedly an effective means of learning the words of a foreign language. How well you remember depends on how well you learned them, not on whether you have learned the words using a keyword mnemonic or rote repetition or some other method. Even using a keyword mnemonic, you still need to rehearse the information to be learned. The keyword mnemonic is not always the best method of learning particular words. Skilled learners may be best to use the keyword mnemonic selectively, for particularly difficult words. The keyword mnemonic requires individual instruction and practice, to use effectively. Using a verbal (sentence) link is at least as effective as an image, and is easier for many people. Whether using a sentence or an image, the critical factor is that the keyword interact with the definition or own-language word. 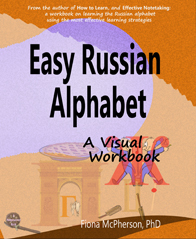 In the mid-seventies, Raugh and Atkinson had remarkable results using the keyword method to teach Russian vocabulary to college students. While later studies have not tended to find such dramatic results, nevertheless, a large number of studies have demonstrated an advantage in using the keyword mnemonic to learn vocabulary. Some researchers have become huge fans of the strategy. Others have suggested a number of limitations. Let’s look at these. The keyword method is undeniably an effective method for accelerating learning of suitable material. Nor is there any doubt that it improves immediate recall. Which can be useful in itself. However, what people want is long-term recall, and it is there that the advantages of the keyword method are most contentious1. 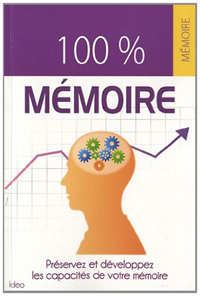 While many studies have found good remembering a week or two after learning using the keyword mnemonic, others have found that remembering is no better one or two weeks later whether people have used the keyword mnemonic or another strategy. Some have found it worse. It has been suggested that, although the keyword may be a good retrieval cue initially, over time earlier associations may regain their strength and make it harder to retrieve the keyword image. This seems very reasonable to me — any keyword is, by its nature, an easily retrieved, familiar word; therefore, it will already have a host of associations. When you’re tested immediately after learning the keyword, this new link will of course be fresh in your mind, and easily retrieved. But as time goes on, and the advantage of recency is lost, what is there to make the new link stronger than the other, existing, links? Absolutely nothing — unless you strengthen it. How? By repetition. Note that it is not the keyword itself that fails to be remembered. It is the image. The weakness then, is in the link between keyword and image. (For example, the Tagalog word araw, meaning sun, is given the keyword arrow; when tested, araw easily recalls the keyword arrow, but the image connecting arrow with sun is gone). This is the link you must strengthen. The question of the relative forgetting curves of the keyword mnemonic and other learning strategies is chiefly a matter of theoretical interest — I don’t think any researcher would deny that repetition is always necessary. But the “magic” of the keyword mnemonic, as espoused by some mnemonic enthusiasts, downplays this necessity. For practical purposes, it is merely sufficient to remember that, for long-term learning, you must strengthen this link between keyword and image (or sentence) through repeated retrieval (but probably not nearly as often as the repetition needed to “fix” meaningless information that has no such mnemonic aid). One final point should be made. If the material to be learned is mastered to the same standard, the durability of the memory — how long it is remembered for — will, it appears, be the same, regardless of the method used to learn it2. Are some keyword mnemonics easier to remember than others? A number of factors may affect the strength of a keyword mnemonic. One that’s often suggested is whether or not the mnemonic is supplied to the student, or thought up by them. Intuitively, we feel that a mnemonic you’ve thought up yourself will be stronger than one that is given to you. One study that compared the effectiveness of keywords provided versus keywords that are self-generated, found that participants who were required to make up their own keywords performed much worse than those who were given keywords3. This doesn’t answer the question of the relative durability, but it does point to how much more difficult the task of generating keywords is. This has been confirmed in other studies. The quality of the keyword mnemonic may affect its durability. Mnemonics that emphasize distinctiveness, that increase the vividness and concreteness of the word to be learned, are remembered less well over time than mnemonics that emphasize relational and semantic information (which is why the emphasis in recent times is on making interactive images or sentences, in which the keyword and definition interact in some way). Having bizarre images seems to help remembering immediately after learning (when there is a mix of bizarre and less unusual images), but doesn’t seem to help particularly over the long term. It has been suggested that keywords that are semantically as well as acoustically related to the word to be learned might prove more durable. For experimental reasons, the information to be learned is usually presented at a fixed rate, item by item. There is some suggestion that an unpaced situation, where people are simply presented with all the information to be learned and given a set time to study it, allows better learning, most particularly for the repetition strategy. The performance of rote repetition may have been made poorer by constraining it in this way in some experimental studies. An unpaced study time is of course the more normal situation. What is clear from the research is that instruction in the technique is vitally important. Most particularly, the superiority of the keyword mnemonic tends to be found only when the students have been treated individually, not when they have been instructed as a group. At least, this is true for adults and adolescents, but not, interestingly, for children. Children can benefit from group instruction in the technique. Why this is, is not clear. However, I would speculate that it may have something to do with older students having already developed their own strategies and ideas. More individually-oriented instruction might be needed to counteract this depository of knowledge. It might also be that children are given more direction in the using of the technique. That is, they are given the keywords; the images may be described to them, and even drawn. Clearly this is much simpler than being required to think up your own keywords, create your own links. It does seem clear that durable keyword images require quite a lot of practice to create. It has been suggested that initially people tend to simply focus on creating distinctive images. It may only be with extensive practice that you become able to reliably create images that effectively integrate the relational qualities of the bits of information. It has been suggested that the keyword mnemonic works effectively only on concrete words. For the most part, researchers only use concrete words (which are easily imageable). Studies which have compared the two are rare. The weight of the evidence is probably against the view that the mnemonic should be restricted to concrete words, but it may well be more difficult to come up with good, concrete images for abstract words. However, verbal mnemonics (a sentence can link the keyword with the definition) don’t suffer the same drawback. In experimental studies, the words are usually vetted to make sure they’re not “easy” to learn because of obvious acoustic or graphic similarities with familiar words. The implication of this for real world learning, is that there is no reason to think that such words require a keyword mnemonic. How important is the image? Most research has focused on using an image to link the keyword with the definition. One study which compared the using of an image with the use of a sentence (in a study of children’s learning of Spanish words) found no difference (the sentence mnemonic in fact scored higher, but the difference was not significant)4. Is the keyword mnemonic of greater benefit to less able students? Several researchers have suggested that the keyword mnemonic might be of greater benefit to less able students, that the keyword mnemonic may be a means by which differences in learning ability might be equalised. One study that failed to find any superiority in the keyword mnemonic among college students, pointed to the high SAT scores of their students. They suggested that those studies which have found a keyword superiority using college students, have used students who were less verbally able5. 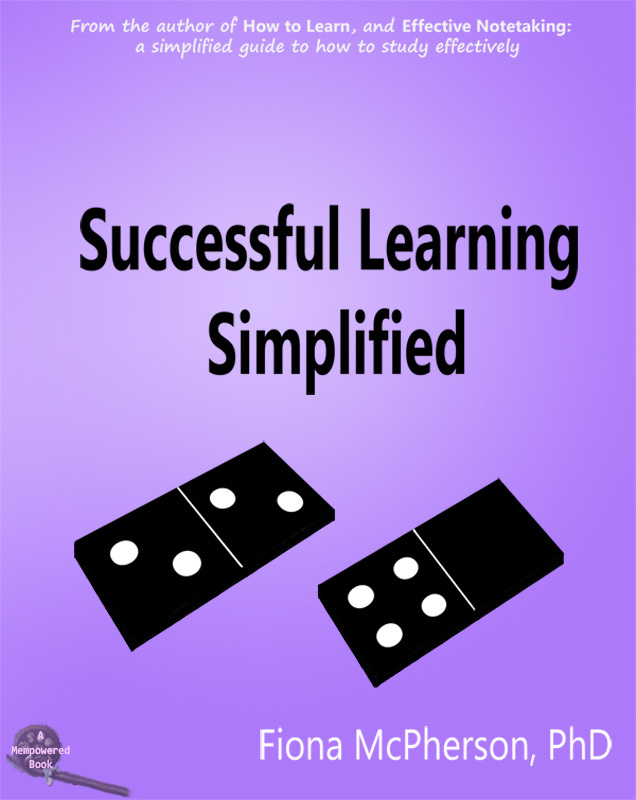 What seems likely, is that teaching the keyword mnemonic to more able students has less impact than teaching it to less able students, because the more able students already have a variety of effective strategies that they use. It is worth noting that, just because students are instructed to use a particular strategy, that doesn’t mean that they will. In one experimental study, for example, when subjects were asked about the strategies they used, 17 out of the 40 control subjects (instructed to use their own methods) used the keyword method for at least some items, while every keyword subject used the keyword method for at least seven items (implying they didn’t always). In that study, it was found that, for the control subjects, the probability of recalling keyword-elaborated items was .81 vs .45 for other items; while for the keyword group, the probability of recall for keyword-elaborated items was .80 vs .16 for those items for which they didn’t use a keyword mnemonic6. As a general rule, experimental studies into the effectiveness of the keyword mnemonic have compared it to, most often, rote repetition, or, less often, “trying your hardest to remember” (i.e., your own methods). It is not overwhelmingly surprising that the keyword mnemonic should be superior to rote repetition, and the study quoted just above reveals why comparisons with “free” controls might show inconsistent (and uninformative) results. Studies which have directly compared the keyword method to other elaborative strategies are more helpful. A number of studies have compared the keyword strategy against the context method of learning vocabulary (much loved by teachers; students experience the word to be learned in several different meaningful contexts). Theory suggests that the context method should encourage multiple connections to the target word, and is thus expected to be a highly effective strategy. However, the studies have found that the keyword method produces better learning than the context method. It has been suggested that students might benefit more from the context method if they had to work out the meaning of the word themselves, from the context. However, a study which explored this possibility, found that participants using the context method performed significantly worse than those using the keyword mnemonic5. This was true even when subjects were given a test that would be thought to give an advantage to the context method — namely, subjects being required to produce meaningful sentences with the target words. The same researchers later pursued the possibility that the context method might, nevertheless, prove superior in long-term recall — benefiting from the multiple connections / retrieval paths to the target word. In an experiment where both keyword and context groups learned the words until they had mastered them, recall was no better for the context group than it was for the keyword group, when tested one week later (on the other hand, it was no worse either)2. Two more recent studies have confirmed the superiority of the keyword mnemonic over the context method7. Another study looked at the question of whether a combined keyword – repetition strategy (in which subjects were told to use repetition as well as imagery when linking the keyword to the English translation of the word to be learned) was better than the keyword strategy on its own. They failed to find any benefit to using repetition on top of the imagery8. Given the procedures used, I can see why this might occur. Imagine you’re trying to learn that carta is Spanish for letter. The obvious keyword is cart. Accordingly, you form an image of a cart full of letters. However, having constructed this image, you are now told to repeat the salient words “carta - letter” over and over to yourself. It’s not hard to see that many people might completely lose track of the image while they are doing this. Thus the repetition component of the strategy would not be so much augmenting the imagery link, as replacing it. Repetition of the link you are supposed to be augmenting (a cart full of letters) might be more useful (in fact, I personally would repeat to myself: “carta – letter; a cart full of letters”). The value of the keyword mnemonic is of course, in forward recall — that is, in the above example, you learned that carta meant letter. When you see the word carta, the keyword mnemonic will help you remember that it means letter. But if you are asked for the Spanish for letter, how helpful will the keyword mnemonic be then? A study that looked at this question found that the keyword mnemonic was no worse for backward recall than the other strategies they employed8. On the other hand, it was no better, either — and this despite being superior for forward recall (remembering the English when given the Spanish). The failure of the method was not due to any difficulty in recalling the keyword itself. Remember, the English meaning and the keyword are tied together in the mnemonic image, so it is not surprising that remembering the keyword given the English was as high as remembering the English given the keyword. But the problem is, of course, that generating the (unfamiliar) Spanish word from the keyword is much harder than remembering the (familiar) keyword from the Spanish. One other aspect of vocabulary learning for many languages is that of gender. The keyword mnemonic has successfully been used to remember the gender of nouns, by incorporating a gender tag in the image9. This may be as simple as including a man or a woman (or some particular object, when the language also contains a neutral gender), or you could use some other code — for example, if learning German, you could use the image of a deer for the masculine gender. Why should the keyword mnemonic be an effective strategy? Let’s think about the basic principles of how memory works. The strength of memory codes, and thus the ease with which they can be found, is a function largely of repetition. Quite simply, the more often you experience something (a word, an event, a person, whatever), the stronger and more easily recalled your memory for that thing will be. This is why the most basic memory strategy — the simplest, and the first learned — is rote repetition. Repetition is how we hold items in working memory, that is, “in mind”. When we are told a phone number and have to remember it long enough to either dial it or write it down, most of us repeat it frantically. 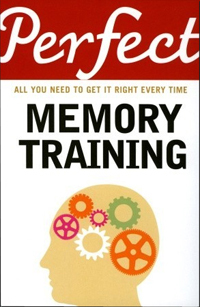 Spaced repetition — repetition at intervals of time — is how we cement most of our memory codes in our long-term memory store. If you make no deliberate attempt to learn a phone number, yet use it often, you will inevitably come to know it (how many repetitions that will take is a matter of individual variability). But most of us come to realize that repetition is not, on its own, the most effective strategy, and when we deliberately wish to learn something, we generally incorporate other, more elaborative, strategies. Why do we do that? If memory codes are strengthened by repetition, why isn’t it enough to simply repeat? Well, it is. Repetition IS enough. But it’s boring. That’s point one. Point two is that making memory codes more easily found (which is after all the point of the exercise) is not solely achieved by making the memory codes stronger. Also important is making lots of connections. Memory codes are held in a network. We find a particular one by following a trail of linked codes. Clearly, the more trails lead to the code you’re looking for, the more likely you are to find it. Elaborative strategies — mnemonic strategies, organizational strategies — work on this aspect. They are designed to increase the number of links (connections) a memory code has. Thus, when we note that lamprey is an “eel-like aquatic vertebrate with sucker mouth”, we will probably make links with eels, with fish, with the sea. If we recall that Henry I was said to have died from a surfeit of lampreys, we have made another link. Which in turn might bring in yet another link, that Ngaio Marsh once wrote a mystery entitled “A surfeit of lampreys”. And if you’ve read the book, this will be a good link, being itself rich in links. (As the earlier link would be if you happen to be knowledgeable about Henry I). On the other hand, in the absence of any knowledge about lampreys, you could have made a mnemonic link with the word “lamp”, and imagined an eel-like fish with lamps in its eyes, or balanced on its head. So, both types of elaborative strategy have the same goal — to increase the number of connections. But mnemonic links are weaker in the sense that they are arbitrary. Their value comes in those circumstances when either you lack the knowledge to make meaningful connections, or there is in fact no meaningful connection to be made (this is why mnemonics are so popular for vocabulary learning, and for the learning of lists and other ordered information). Mnemonic strategies have therefore had particular success in the learning of other languages. However, if you can make a meaningful connection, that will be more effective. For example, in Spanish the word surgir means to appear, spout, arise. If you connect this to the word surge, from the Latin surgere, to rise, then you have a meaningful connection, and you won’t, it is clear, have much trouble when you come across the word. However, if your English vocabulary does not include the word surge, you might make instead a mnemonic connection, such as surgir sounds like sugar, so you make a mental image involving spouting sugar. Now, imagine each of these situations. Imagine you don’t come across the word again for a month. When you do, which of these connections is more likely to bring forth the correct meaning? But of course, it is not always possible to make meaningful connections. The thing to remember however, is that you haven’t overcome the need for repetition. These strategies are adjuncts. The basic principle must always be remembered: Memory codes are made stronger by repetition. Links are made stronger by repetition. If you don’t practice the mnemonic, it won’t be remembered. The same is true for any connection, but meaningful connections are inherently stronger, so they don’t need as many repetitions. I would also note that the experimental research invariably involves very limited numbers of words to be learned. While this is entirely understandable, it does raise the question of the extent to which these findings are applicable to real world learning situations. If you are learning a new language, you are going to have to learn at least 2000 new words. Does the keyword mnemonic hold up in those circumstances? The keyword mnemonic has been used in real world situations (intensive language courses), but these are not experimental situations, and we must be wary of the conclusions we draw from them. The keyword strategy does take time and effort to implement, and may well have disadvantages if used to excess. Some words lend themselves to other techniques. At least for more experienced students (who will have a number of effective strategies, and are capable of applying them appropriately) the keyword strategy is probably best used selectively, perhaps for particularly difficult items. 1. Wang, A.Y. & Thomas, M.H. 1992. The Effect of Imagery-Based Mnemonics on the Long-Term Retention of Chinese Characters. Wang, A.Y. et al. 1989. Do Mnemonic Devices Lessen Forgetting? Paper presented at the Annual Meeting of the American Psychological Association (97th, New Orleans, LA, August 11-15, 1989). Wang, A.Y. et al. 1992. Keyword Mnemonic and Retention of Second-Language Vocabulary Words. Wang, A.Y. & Thomas, M.H. 1995. Effect of keywords on long-term retention: help or hindrance? Journal of Educational Psychology, 87, 468-75. Gruneberg, M.M.1998. A commentary on criticism of the keyword method of learning foreign languages. Applied Cognitive Psychology , 12, 529-532. 2. McDaniel, M.A., Pressley, M. & Dunay, P.K. 1987. Long-term retention of vocabulary after keyword and context learning. Journal of Educational Psychology, 79, 87-9. 3. Hall, J.W., Wilson, K.P. & Patterson, R.J. 1981. Mnemotechnics: Some limitations of the mnemonic keyword method for the study of foreign language vocabulary. Journal of Educational Psychology, 73, 345-57. 4. Pressley, M., Levin, J.R. & Miller, G.E. 1981. The keyword method and children’s learning of foreign vocabulary with abstract meanings. Canadian Journal of Psychology, 34, 283-87. 5. McDaniel, M.A. & Pressley, M. 1984. Putting the keyword method in context. Journal of Educational Psychology, 76, 598-609. 6. Pressley, M., Levin, J.R., Digdon, N., Bryant, S.L. & Ray, K. 1983. Does method of item presentation affect keyword method effectiveness? Journal of Educational Psychology, 75, 686-91. 7. Jones, M.S., Levin, M.E., Levin, J.R. & Beitzel, B.D. 2000. Can vocabulary-learning strategies and pair-learning formats be profitably combined? Journal of Educational Psychology, 92, 256-62. Shing, Y.S. & Heyworth, R.M. 1992. Teaching English Vocabulary to Cantonese-speaking Students with the Keyword Method. Education Journal, 20, 113-129. 8. Pressley, M., Levin, J.R., Hall, J.W., Miller, G.E. & Berry, J.K. 1980. The keyword method and foreign word acquisition. Journal of Experimental Psychology: Human Learning and Memory, 6, 163-73. 9. Desrochers, A., Gelinas & Wieland, L.D. 1989. An application of the mnemonic keyword method to the acquisition of German nouns and their grammatical gender. Journal of Educational Psychology, 81, 25-32.
what is the keyword method? I have tried this keyword mnemonic method to learn French and it was really effective. It made learning the language easy and to remember the words in it. All those who are learning a new language must try this out.Thanks for shairng.